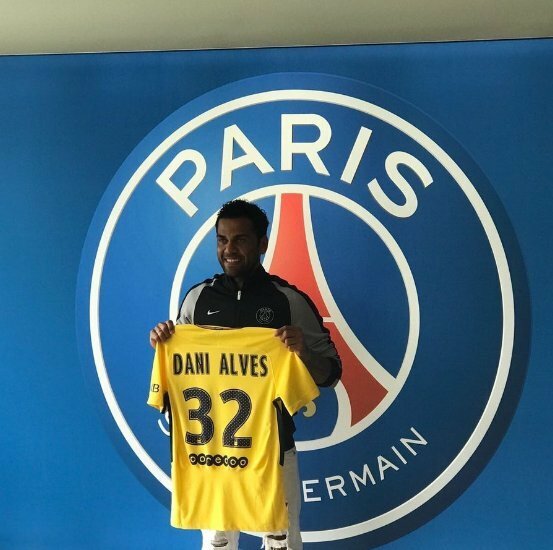 French club Paris Saint-Germain have signed Dani Alves on a free transfer after the Brazil defender ended his Juventus contract. Alves, 34, had been heavily linked with Manchester City but PSG confirmed his signing with a short video message on their Twitter handle on Wednesday. The right-back arrives with a load of experience and great success having won LaLiga, Champions League and Copa Del Rey titles at Barcelona as well as Serie A with Juventus. Alves also reached the Champions League final last season in his only campaign with Juventus. He is expected to be in the PSG squad to the United States of America for the pre-season International Champions Cup.